If you have been thinking of selling your home, spring is a great time. Knowing the steps it takes to sell your home is very important. And one of the first and most important steps is to price your home correctly! This is a huge step in selling your home, and makes a big impact on the selling process. Here at Homes Of Idaho, we have over 100 years of combined experience. When you price too high you can miss out on potential showings, and could keep your home on market much longer than needed. And if you price too low you could miss out on your hard earned equity. Listing with an experienced agent gives you an edge and ensures the smoothest possible experience. If you are thinking of selling, check out this Seller's Guide we have created just for you! 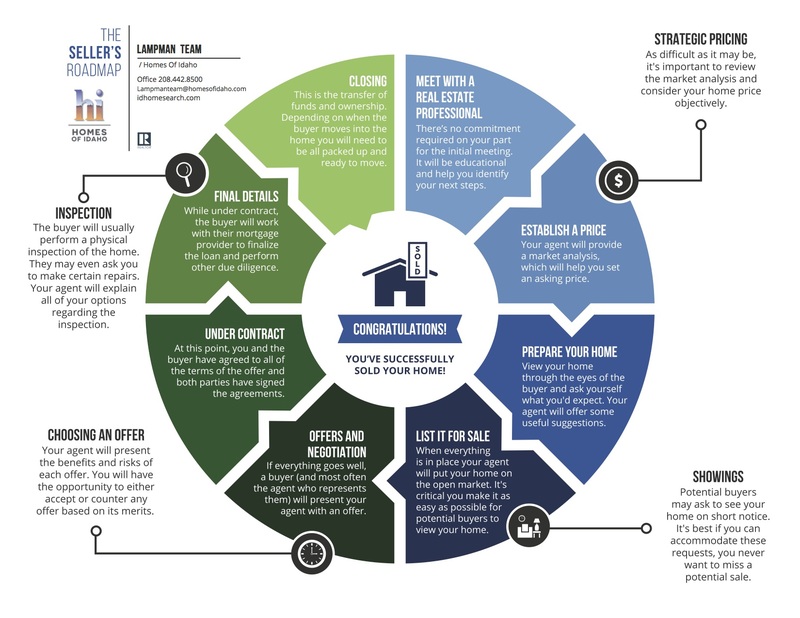 This is a great tool to inform you of the process of selling your home so you can be prepared each step of the way.